W. Edwards Deming first listed his 14 points for management in his book Out of the Crisis, and they ultimately went on to have a significant influence on Total Quality Management, or TQM. We’ve created a free downloadable guide for you that lists and explains each of the fourteen points. We even left some space alongside each point so you can write your own notes. 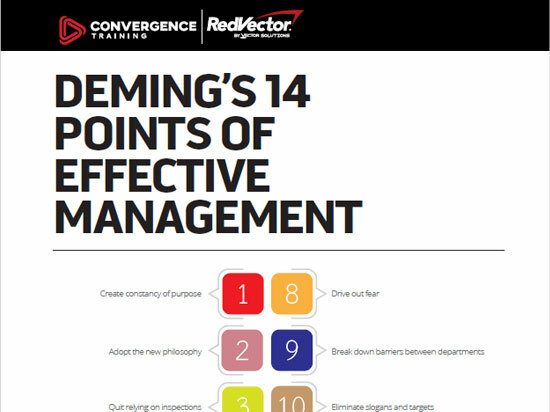 Download the Deming’s 14 Points guide now and keep your eyes open for more similar freebies from us (such as this PDCA Cycle infographic, this DMAIC infographic, and this 7 Tools of Quality guide). 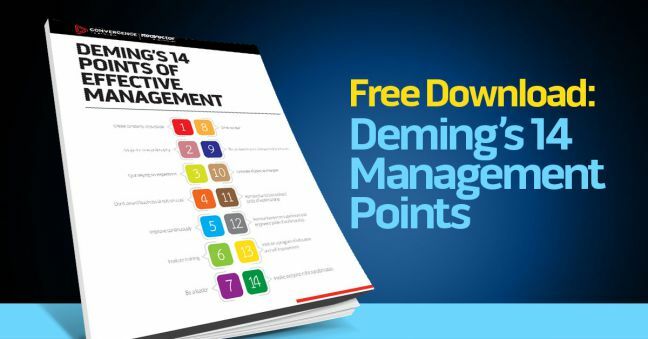 Download this free guide to the 14 points of management proposed by the famous Quality guru W. Edwards Deming.